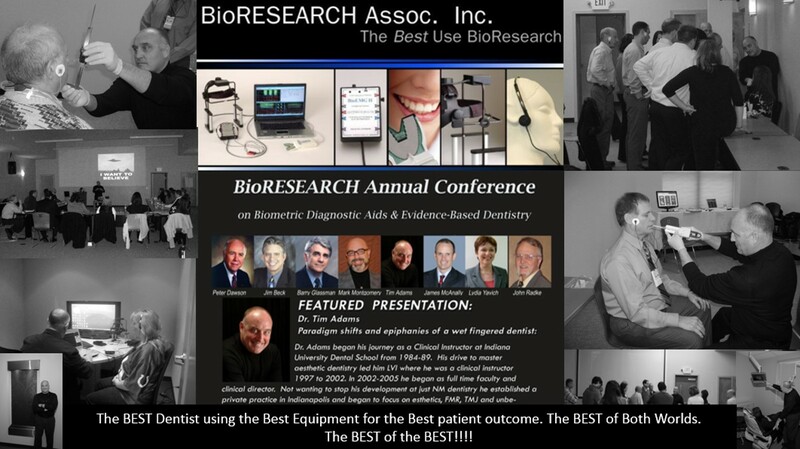 THE BEST DENTIST USING THE BEST EQUIPMENT FOR THE BEST PATIENT OUTCOME. Timothy C. Adams, DDS, D.ACSDD, LVIM has over 35 years of experience providing the Indianapolis community and beyond with the best in General and Cosmetic Dentistry. He is the only dentist in Indiana who earned a diplomat with the ACSDD in Indiana which give patients the security in knowing he is well trained in Sleep Apnea and similar conditions. Timothy C. Adams, DDS, D.ACSDD, LVIM is also the only dentist in Indiana that utilizes the Homeoblock for for Sleep Apnea, TMJ and other upper airway issues. His training has allowed him to help many patients who didn't think their conditions could improve. Due to Dr. Adams' unique skillset, patients from around the world come to his Carmel practice to create and receive the smiles they desire. Dr. Adams' has received international recognition as a dentist who has trained dentists in an over-the-shoulder format in Cosmetic Dentistry, Sleep Apnea, TMJ, Porcelain Veneers, Occlusion, Full Mouth Reconstruction, Smile Makeovers, and Neuromuscular Dentistry. Dr. Adams has lectured, published and demonstrated his clinical expertise in the international theater allowing him the opportunity to be involved with thousands of cosmetic cases. He has worked with some of the most renown leaders in dental academia who have changed the landscape on how many dental procedures are performed....providing life changing results for patients. Timothy C. Adams, DDS, D.ACSDD, LVIM has developed techniques that offer patients a more pain-free experience in order to avoid unnecessary anesthesia. Dr. Adams' passion in learning and interest in creating the best possible patient experience can be illustrated in the awards he has received. Indianapolis Monthly has selected Dr. Adams as one of Indianapolis' Top Dentists for 9 consecutive years. He has also been awarded America's Best Dentist and Best of Carmel awards. Dr. Adams is especially interested in the patient experience because one of the reasons he became a dentist was because he spent many times at the dentist due to his extensive dental treatments as a result of sports injuries when there was less preventative care available for athletes. He understood first hand what it was like to undergo numerous and extensive treatments which prompted him to make a career choice in dentistry that would improve the patient experience. Dr. Adams is excited to share his wealth of knowledge and experience with the Carmel and surrounding Indianapolis communities. Fusing form, function and aesthetics in a one on one patient centered environment has been the hallmark for Timothy C. Adams, DDS, D.ACSDD, LVIM for over 35 years. His experience in all aspects of General Dentistry allow the patient the opportunity for quality Preventative, Restorative and Cosmetic care for the entire family. Additionally, Dr. Adams has received special training and recognition in TMJ and Sleep Apnea that not only has benefited the dental community but his patients as well. Please schedule an appointment below and discover how Dr. Adams can help you and your family with your dental needs and desires.